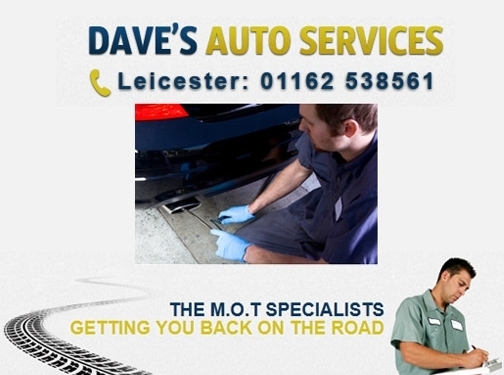 A specialist provider of MOTs within the Leicestershire area, Daves Autos can also offer servicing and repairs to it''s customers. UK (Leicester) based company - established in 1988, and with business premises - providing MOT services. Website includes details of services provided (including video introduction), accreditations (VOSA), full company contact details.